Divorce frequently causes couples to question a lot about their lives, and how to move on from the end of a marriage. Many different emotions will ebb and wane as the decision to divorce is made, as the dissolution process is started, and as the court officially dissolves the marriage a number of months later. Some level of tension is almost impossible to avoid, but looking at the big picture, especially if children are involved, can temper the inclination to foster conflict. Divorce is traditionally accomplished through the litigation process that puts each spouse before a judge, presenting arguments and claims in favor of the outcome each wants to achieve. This process is adversarial by nature, and can complicate efforts to keep relations amicable. A non-adversarial alternative becoming more popular is collaborative divorce, a process that is driven by the cooperation and communication of both spouses to reach a workable solution to outstanding issues. Each process has its advantages and disadvantages, and one is typically more appropriate in a given case than the other. Deciding the method of divorce is no small decision, and will influence the details of the outcome. This decision should be made in consultation with an experienced divorce attorney, but having a basic understanding of the key points of both options will help divorcing spouses gain a big picture view of how to approach this decision. One spouse appears to be hiding assets or is having an affair, e., actions that call into question the spouse’s credibility and good faith. 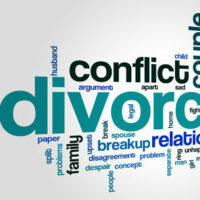 Collaborative divorce, by contrast, is conducted by the spouses in partnership with a collaborative attorney and neutral financial and mental health professionals, which allows any settlement to be controlled by the couple’s ability to communicate and make reasoned decisions, as guided by these professionals. A requirement to engage in this process is that each side promise to suspend or refrain from initiating any court action, to show each is ready to talk in good faith. If court intervention is sought, the collaborative process automatically terminates, and the attorneys must withdrawal representation. The goal, thus, is to help spouses learn better ways to communicate, a key skill if they intend to co-parent in the future. Collaborative divorce is typically faster than litigation, and better allows each spouse a forum to air out unexpressed emotions, and fully explore possible compromises to disputed issues. This process does, however, require a real commitment from each spouse to fully participate and keep an open mind. A spouse bent on revenge will not do well in this environment, and divorcing couples need to look honestly at whether they can truly work together before attempting this route. Divorce is scary and full of uncertainty. If you are facing this decision, you need the services of an experienced divorce attorney to navigate you to the best possible outcome. Legal and procedural details can trip up the average spouse going through this process alone, and the skilled attorneys at the Donna Hung Law Group want to help divorcing spouses avoid unfair and harmful results by offering both traditional litigation and collaborative process representation. 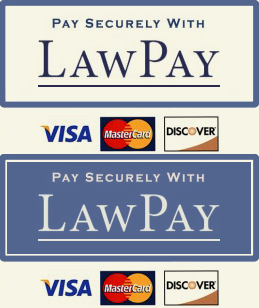 Contact the Orlando law firm at (407) 999-0099 to schedule a consultation.